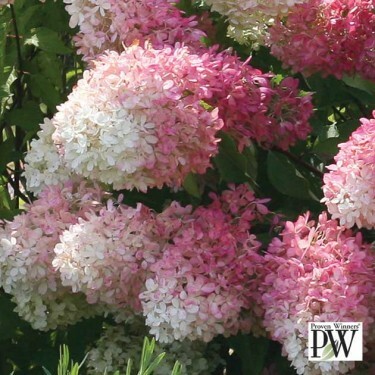 ‘Zinfin Doll’ is beautifully covered with dense blooms that start out white and turn the most dazzling shades of pink from the bottom up. Thick, sturdy stems hold the flowers high in the garden. Zinfin Doll produces excellent cut flowers. 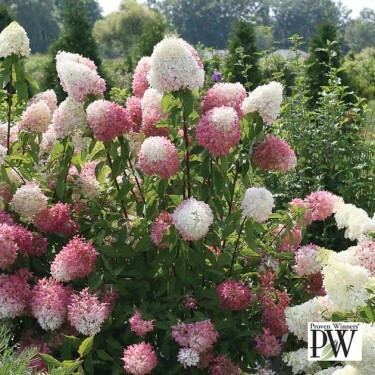 Hydrangea plants are long lived and provide late season pizazz to doll up your garden! This very hardy shrub blooms every year and brings colour to the summer garden and into the fall.